Maritim Hotel Königswinter, right on the Rhine promenade with a glorious view of shipping traffic. 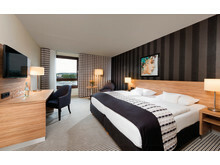 Nearly 3,000 rooms out of the 9,680 rooms in Maritim Hotels across Germany have been revamped with upgrades across rooms, bathrooms and public areas. Meeting and event space across the properties have also been renovated and modernised including one of the Maritim’s flagship hotels, Hanover. This hotel, located next to the city’s airport, has recently revamped 15 event rooms and ten conference suites which can host groups of all sizes from 3 to 1,500, as well as a new sounds system. 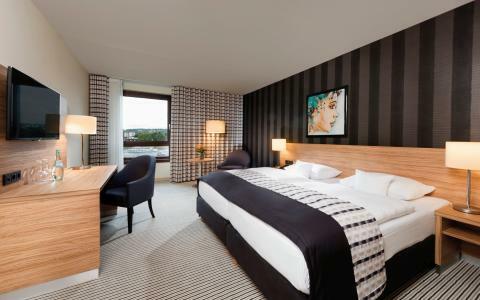 These new features can be found in rooms at Maritim hotels in Königswinter, Ulm, Munich, Stuttgart, Darmstadt, Hannover, Bad Homburg, Cologne and Würzburg and its adjacent Congress Centrum. 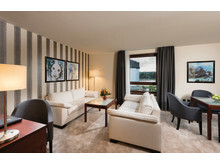 Maritim’s hotel in Bonn is set to be upgraded this year.